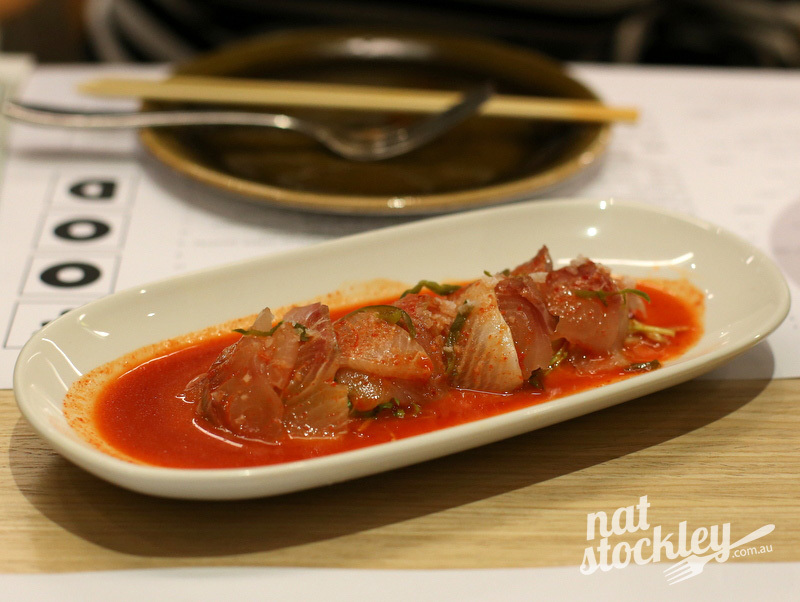 Korean has long been touted as the next food trend expected to hit Melbourne, although until recently I haven’t noted anything to suggest it was actually gaining impetus. There have always been Korean venues with expansive menus & those more specialist spots offering table top BBQ or Korean Fried Chicken (KFC), but it hasn’t been a cuisine that’s really enticed the masses. 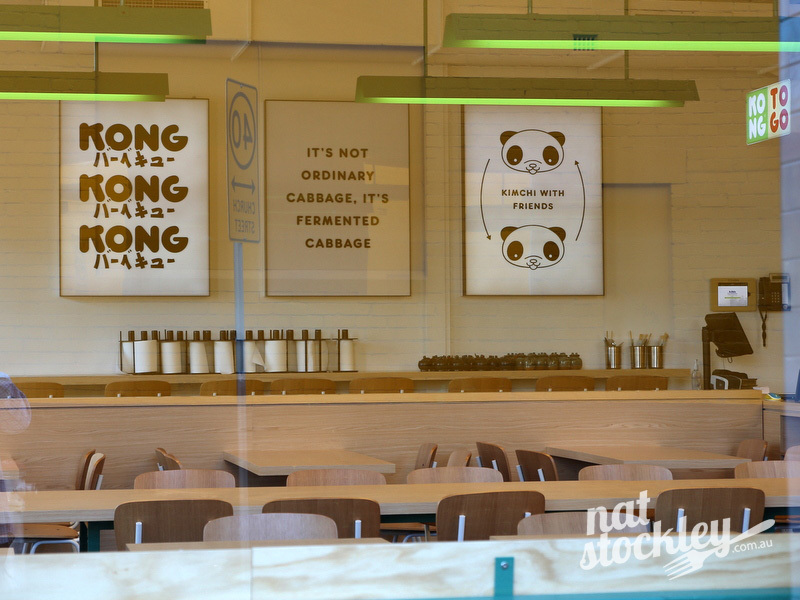 Lately momentum looks to be building with the opening of modern Korean ventures such as Elsternwick’s The More the Better, Frying Colours in Kensington & South Melbourne’s PatBingSoo. 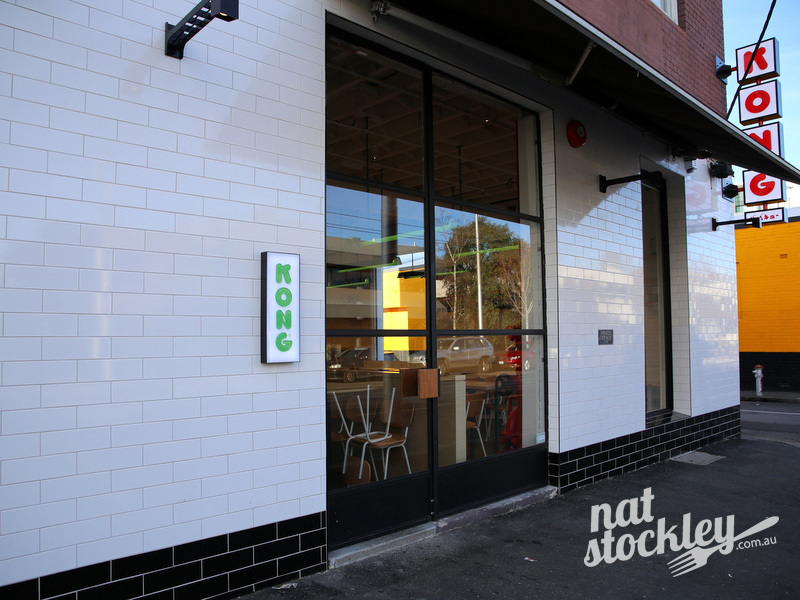 Undoubtedly the most noteworthy opening of this new strain of Korean comes courtesy of the Chris Lucas Group with the launch of Richmond’s Kong in the space previously occupied by Pearl café. The design & fit out is simple, yet striking. The bold signage and prominent white tiles on the exterior of the corner building make it easy to sight as you approach, even from a distance. 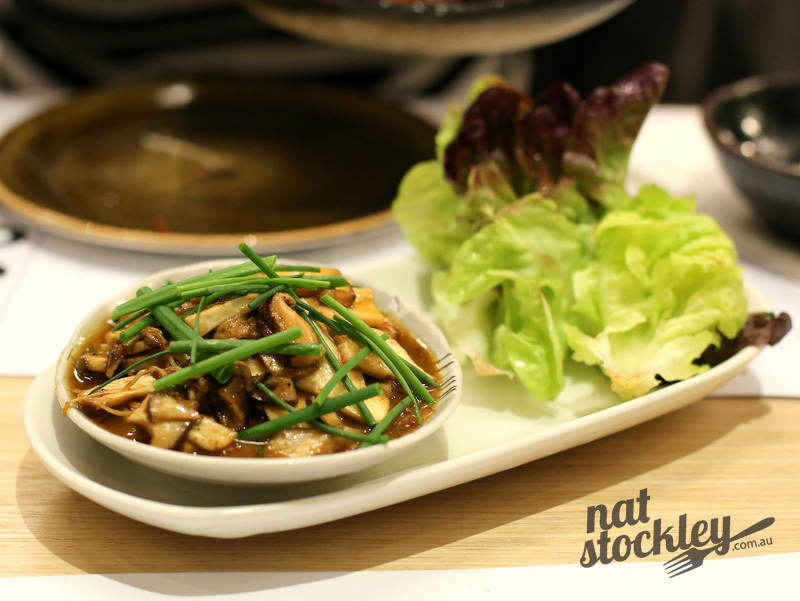 Intimate may be stretching it, but compared to Chin Chin, the smaller space definitely makes the dining experience more personable. There’s bar seating overlooking the energetic kitchen and a mix of communal and smaller tables providing capacity for around 60 diners in total. The menu riffs on Korean and Japanese flavours but a lot of the dishes are quite unique to Kong. 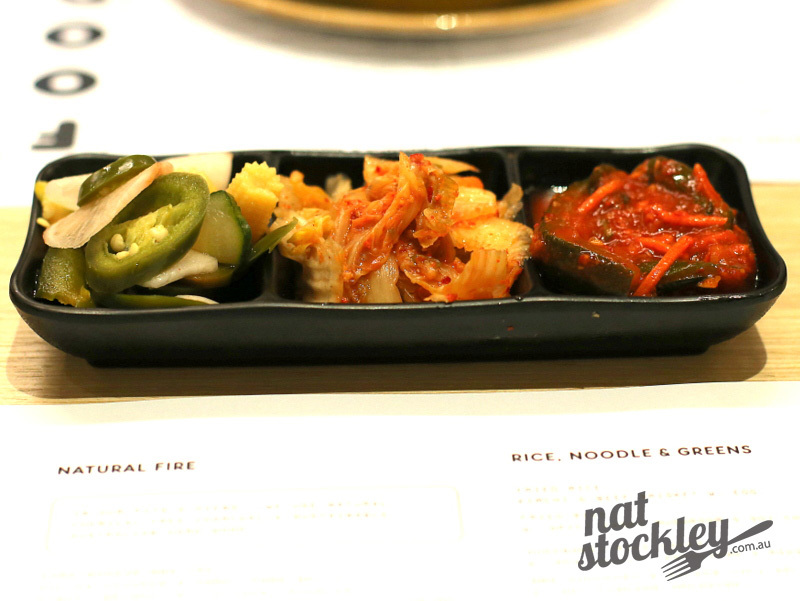 Even the traditional notion of Korean BBQ is given a shake up with a nod to the American BBQ techniques that are currently taking hold in Melbourne. You could easily visit multiple times and not have to order the same dish twice there is so much variety on the menu. 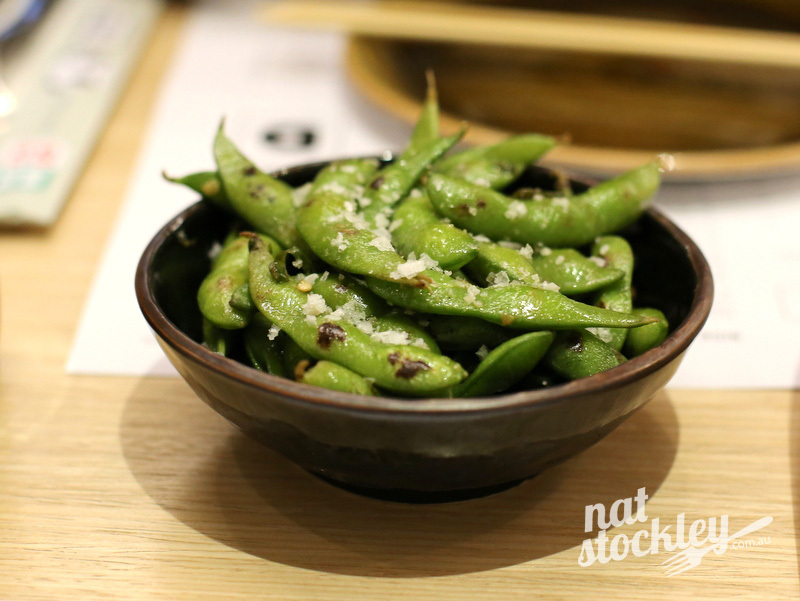 We started with a bowl of the Wood Grilled Edamame with Chilli & Sea Salt which was quite possibly the best edamame I’ve had the pleasure in savouring. Clearly the wood grilling added another facet. 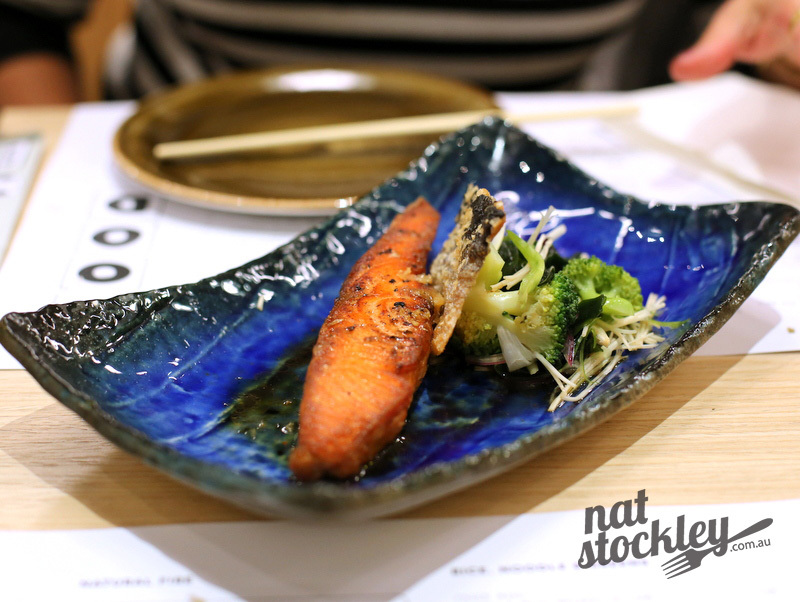 The Wood Roasted Salmon with Crispy Skin, Seaweed Salad & Kimchi was exceptionally moist and quite delicately flavoured. Half a rack of BBQ Baby Back Pork Ribs with Kong Crazy Horse Chilli was insanely good. 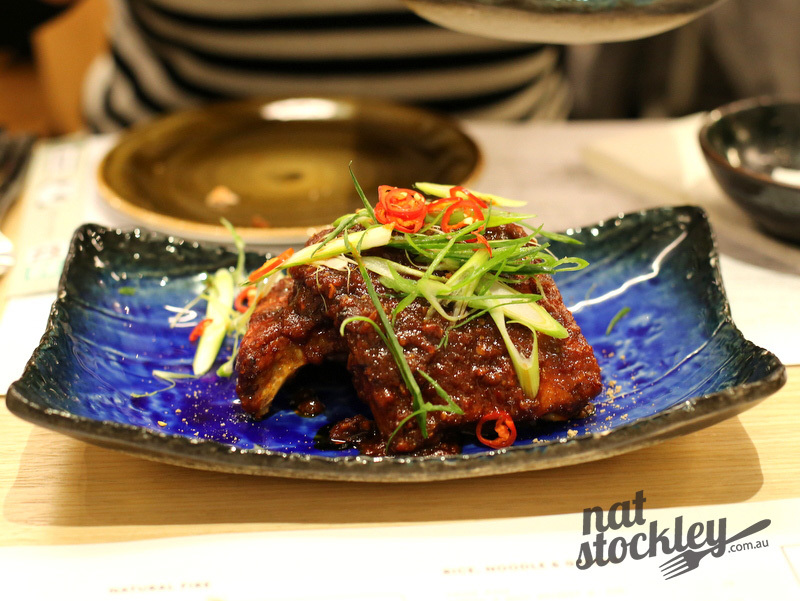 The ribs ticked the moist & meaty boxes, whilst the combination of smokiness & chilli sauce was just delightful. The Kong Bossam BBQ Tray caught my eye on its way to neighbouring tables during the night and I’d imagine it’s a great way to trial the range of BBQ meats on offer. I didn’t get to sample the Ssam Roti Roll with Teriyaki Roast Ora King Salmon, Wok Fried Broccoli & Tomato but reportedly it’s proving very popular. 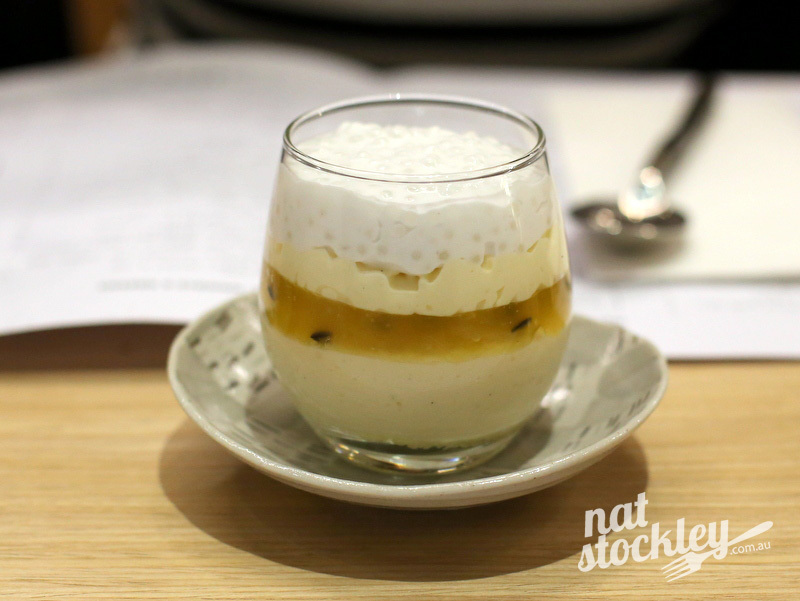 I was really impressed with all the dishes that hit the table on our inaugural visit. Executive chef Benjamin Cooper told me they’d spent a year developing & tweaking the menu and it definitely shows. As per the food menu, there are ample options on the drinks list including cocktails, sake, shochu, umeshu, wine, beer and tea. I though the prices were mostly pretty reasonable. Wine by the bottle started at $44 and the most pricey option will set you back $77. With the no bookings policy, securing a table at 7pm on a Saturday night may be a tad tricky, however they’re open from 11am till late daily, so be a little creative with your timing and you can theoretically diminish the need to queue. Alternatively, there’s a scaled down menu available for take away. I know I’ll be heading back to Kong very soon even if that entails having lunch at 11:30am or dinner at 5:30pm.